Introducing our most classic design, the Venum Amazonia 5.0 Fightshorts. It’s back with an original pattern and unique cut designed for enhanced fighting performance. With this 5.0 version, Venum added a new neoprene waistband lined for a perfect fit and optimum comfort during combat. With its non-abrasive Velcro, the Venum Amazonia 5.0 Fightshorts eliminates skin irritation for ultimate comfort with every move you make. With a design inspired by the original best-seller and its high quality finish, the Venum Amazonia 5.0 Fightshorts is THE fight short for all athletes of any level. Made with a resistant microfiber and anatomical cut, the Venum Amazonia 5.0 Fightshorts combines optimal thermoregulation with unprecedented mobility resulting in a more breathable and freedom of movement during combat. 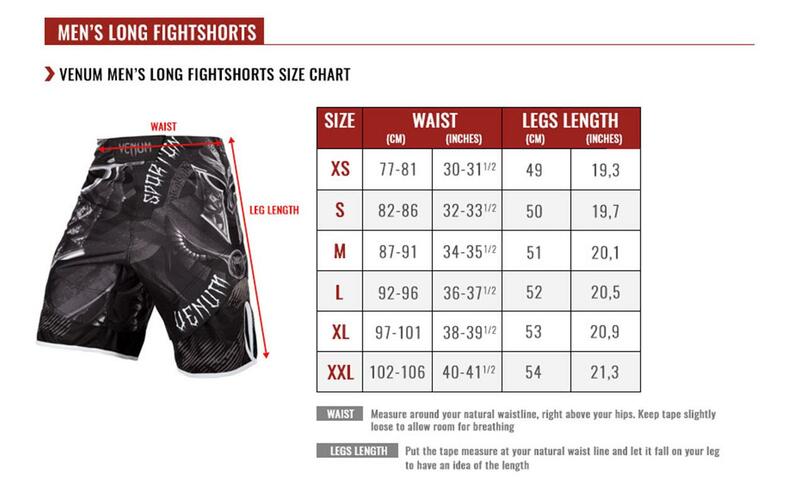 Inspired by the wild animals of the Amazon, such as caiman, jaguar, and anaconda... the Venum Amazonia 5.0 Fightshorts is designed for the ultimate predator: You. 100% polyester for strength and lightness. New belt lined with neoprene band. Design fully sublimated into the fiber.